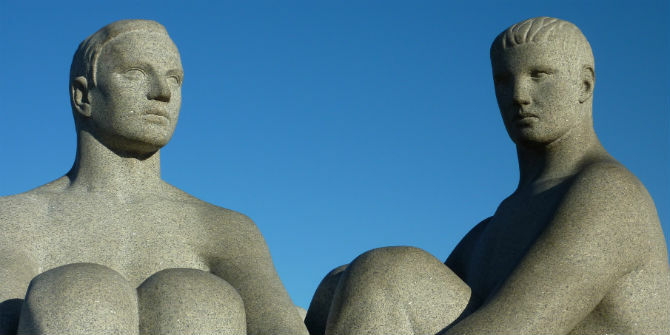 When it comes to financial services, the UK will not be able to negotiate better access than Norway currently enjoys, writes Morten Kinander (Norwegian Business School). It is simply not in the EU’s interest to create a parallel equivalence regime for Britain. That is why the ‘Norway’ (EEA) model should not be ruled out. Claims that it would turn the UK into a ‘rule-taker rather than a rule-maker’ are an oversimplification. As seems to become clearer as time passes, there might not be too many alternatives for the UK’s financial sector if the UK wishes to gain access to the single market post-Brexit. In fact, the EU recently rejected many of the solutions that the UK still clings to when it finally granted Norway permanent access to the markets. Judging from that experience, the EEA solution presents itself as the least unrealistic of the UK’s options. There has been considerable debate concerning the choice of model for the UK’s access to the EU’s financial markets after Brexit. Depending on whether it ends up being a hard or a soft Brexit, the choice is basically between two models, if the UK wishes continued access to the EU’s financial markets: ‘equivalence’ or ‘passporting’. While the first rides on the back of the hard line, the second requires a soft Brexit with EEA membership. Hard Brexit necessitates some form of a bespoke arrangement, while a soft one is an ‘off-the-rack’ solution with fittings. Equivalence means that you get access based on having the same kind of rules, while passporting means that you get a licence due to being subjected to the same regulator and supervisor. The first is a shaky privilege; the second is a long-standing right. This we all know. The problem lies elsewhere, namely, achieving predictable access without secession of sovereignty. And this is where the EU probably will not give in – simply because it cannot give in. There are really no existing financial industries that rely on equivalence. Granted, it is used, by US clearing houses for example, but only in a piecemeal fashion, and to the extent that specific rules allow for it. To turn this model into a working, permanent arrangement would require granting special status to the UK with increased rights compared to those granted to EU Member States. Crucially, it also requires the EU to change its mind, after recently having rejected a similar proposal from Norway (an EEA State), which, for both constitutional and political reasons, had problems in accepting that an organisation that they are not a member of can have supervisory powers in its jurisdiction. Sounds familiar? In fact, the 2016 negotiations between Norway and the EU, which led to the erection of a model that might also work for the UK, throw a gloomy light on the prospects of an equivalence model for the UK. I say this in full recognition of the immense difference in bargaining power between Norway and the UK. But a large part of the reason why the prospects for such a solution for the UK are so grim has little to do with bargaining power: access to the EU’s financial markets is a matter of law, not of politics. It is a question of fitting into an established legal structure that has recently been the subject of a serious overhaul of its regulatory architecture after the financial crisis. It is, in other words, a matter of constitutional rule of law thinking, as opposed to political desirability. And here the overhaul is important. The overhaul partly took the form of tighter regulation. But, more importantly, it consisted of a new model for the EU’s supervision of the financial markets: a supervision of the supervisors, bearing the acronyms of EBA, ESMA, EIOPA, and ESRB (the ESAs). After 2010, the EU has, for better or for worse, designed a system that is exactly meant to prevent differentiation according to market size, with the overall message being ‘ever closer integration’. In such a setting, divergence equals disintegration. Before 2010, Norway had full access to all the relevant arenas of policy and regulation in the EU simply by virtue of its EEA membership. From 2010 onwards, following the introduction of the new supervisory architecture, with four important EU Regulations endowing the new supervisory system with more potent supranational powers, the tone changed; Norway was relegated to observer status, pending the solution to the passport issue, after requests of ‘equivalence’ were rejected. Norway either had to change its constitution to allow an organisation that it was not a member of to exercise control over it, or to come up with a different solution. Getting the passport depended now not only on being an EEA member, but also on accepting direct supervision by the ESAs on specifically designated areas and/or specifically defined emergency times. The solution that was adopted builds on and expands the existing ‘two-pillar system’ to accommodate the new regulatory and supervisory aspect of the EU institutions, and it might even work for the UK. It operates on the assumption that, when necessary, the EU’s supervisory authorities will make a rule or take a decision that will then be copied by the EFTA authorities, and made into EEA law, replacing only the name of the institutions in the provisions with the relevant EEA institution. To illustrate, if ESMA, the EU supervisory authority of securities markets, decides that the Norwegian financial regulator is failing in its duties to oversee the Norwegian market, ESMA can issue a draft decision to make it do certain things, to remedy the perceived defects. This draft will be sent to the EFTA Surveillance Authority, which, although being under no legal duty to do so, issues a corresponding, binding decision over the Norwegian financial regulator. And voilà, ESMA’s view becomes Norwegian law. This element of non-obligation on the part of the EFTA is important, because if bound, the EFTA States would not have been constitutionally able to accept the arrangement. As it stands, it is an expression of a political will to honour the arrangement, and not a legal obligation. As such, Norway not only gets its much-needed passports and secure access to the financial markets, it also retrieves what it lost, namely full participation in all relevant meetings where policy issues and regulation development are hammered out. This includes not only participation in the boards of the ESAs, but, crucially, in the hundreds of meetings each year where policy is hammered out and regulations drafted. Solving the constitutional issue was therefore regarded as vitally important in two respects: firstly, for the purpose of achieving passporting rights; and secondly for the attendance in these meetings. Without such attendance, influence in the drafting process would be lost, together with an understanding of why new financial regulation is being made, and how it is thought to be applied in the individual states. It will not take long for the UK to diverge from an established and unified supervisory practice without access to the background of new financial regulation by the ESAs, or to the dialogue among the national regulators as to how to apply it. In these settings, Norway is taken seriously well beyond its weight class when it comes to areas where it has special knowledge, for example within the area of commodity derivatives. According to government officials who participate in these meetings, the discussions are based on merit, with EU technocrats being first and foremost interested in drawing the most expedient form of regulation. In other words, if you are a heavyweight in such circumstances, power comes even more generously – even without voting rights. With its stellar market knowledge, the UK could, therefore, expect to exert considerable influence in these forums, and should be careful about ditching the EEA alternative. At least, it will retain its constitutional independence, and will not be bound by the European Court of Justice. It will not even be bound by the EFTA Court, whose decisions are advisory. Commentators and political pundits alike should therefore avoid simplistic ‘rule-taker, not rule-maker’ talk. This post originally appeared at the Oxford Business Law Blog. 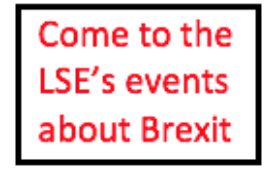 It represents the views of the author and not those of the Brexit blog, nor the LSE. Morten Kinander is Professor, dr.juris at the Norwegian Business School, BI, and Director of the Center for Financial Regulation. 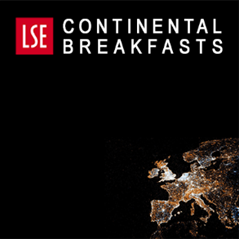 Continental Breakfast 6: Is Switzerland a model for the UK-EU relationship? So, what would happen to Norway if it decided not to take the EFTA Court’s advice? Sorry, what author suggests here is simply not true in reality. EU can shut down SM even for EU memebrs, in extreme… but this would be really extreme. If EEA states disregarded ECJ-arm decisions, EU would shut down the lights. If you want to benefit from SM, none of it is advisory at all. It is mandatory. EU law emanates from EU, and effectively is formed by ECJ as well, so it is always like ” God in the clouds”. This is why I have previously said the UK should consider EEA membership, if only in the transitional period. People forget that the UK is already outside the Schengen Area and the Eurozone. If Mrs May sticks to her red lines, the UK will be outside the European Single Market and EU Customs Union as well. This creates a formidable barrier of regulations and differences between the UK and the EU. If the UK joined the EEA it would be inside the European Single Market. It would also, as it would be outside the EU Customs Union, still be free to negotiate it’s own trade deals with third countries. I still don’t understand how Britain will avoid ending up in the Transition Period forever. It seems impossible that the Future Relationship will be fully agreed before Britain enters the Transition Period. The Transition Period will essentially amount to the Single Market and Customs Union. The Future Relationship that would be ideal for the EU is for Britain to remain in the Single Market and Customs Union. So in 13 months time, Britain will be negotiating with the EU for a deal, when the EU already has the best conceivable deal imaginable. Why would the EU not just say no to everything for the 21 month Transition Period, hoping the British would get Brexit-fatigue and just decide to stay in the Single Market and Customs Union? You state that the EFTA Surveillance Authority is under no duty to adopt a decision on the basis of a draft from one the Financial supervisory authorities. I think this is wrong. It follows from the relevant legal text that the EEA EFTA States have accepted the supervisory powers ot the Financial supervisory authorities.The Annex to the EEA Agreement states that the Authority “shall, without undue delay,”” adopt decisions on the basis of drafts prepared by ESMA and the other Financial supervisory authorities. The wording of the adaptation texts in the Annex does not lend itself to the interpretation that the EFTA Surveillance Authority would be free not to adopt a decision where a draft has been issued by ESMA. There is a legal formality at play here. The whole set up is premised upon the EFTA SA making exactly the same decisions. If it doesn’t, the whole system falls apart. But legally, the SA is not mandated to comply, and there is no institution that can issue a decision obligating it or sanctioning it. That it the weakness of the set up, but it is also the asset, since an obligation would create constitutional problems in the EFTA states, since it would subject the EFTA States directly to an EU institution, which is forbidden by the constitutions of dualist countries (Norway and Iceland). All theory. What do you think Eu would do if Norway or Icreland simply dumped something? Lights out. EU can shut down parts of SM, even for EU members in extreme circumstances. The premise UK can ignore regulation, with no effects, is pure illusion. Also doesnpt touch the points, which are crucial, that extreme xenophobia pushed Brexit in UK, whereas in Norway you have % wise far bigger immigration. Leavers in UK want the Grenfell Towers race to bottom, Norway doens’t etc. Do you also think EU would ever allow UK into EEA like agreement where Uk would be free to ignore EU institutions? Seems extremely naive. Granted, the EFTA Court can issue decisions that the EFTA states are obligated to “take the necessary measures”. This applies, however, only to breaches of international law obligations, and the Court has no sanctioning power. For secondary legislation, which is what the article is primarily concerned with, the Court has no direct effect. Morten, you simply completely ignore that all decisions are binding, since EU can pull the plug. The above is simply theory. If Norway refused eg essential FS regulation somehow related to ECJ- its single market access would simply not continue as it is. I don’t see any benefit of being in EEA, not one. You take on the rules, pay fees, and no proper vote. I mean, how strong are Norway’s FTAs? In numbers? Brexit is a grand idiocy, but if you leave, then you leave. Great points on why UK won’t get a FS deal.